CINCINNATI -- In the days before Twitter, mobile apps, even news websites, the daily news came in the form of the daily newspaper. All other mediums relied, in some way, on the newspaper: In the evenings, TV and the radio would read the day's headlines and expand on them with their own reports. But in Nov. 1973, the Cincinnati Enquirer and the Cincinnati Post stopped production for four days. 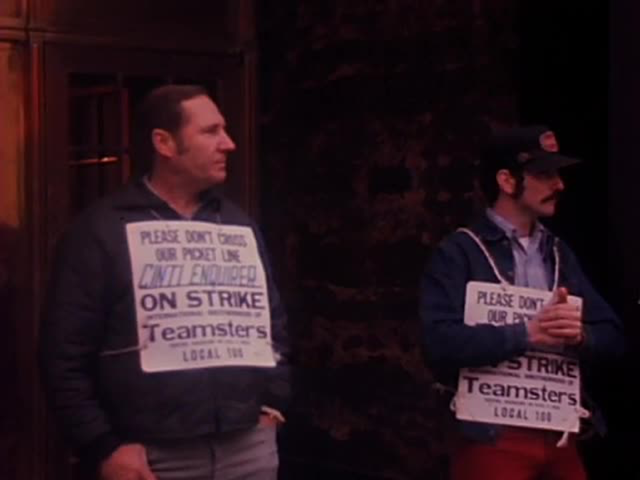 The "pressman" strike was organized by the Teamsters Local No. 100, according to WCPO's archive video. Union members blocked the entryway of both newsrooms and wore signs that read "Please don't cross our picket line. Cinti Enquirer/Cinti Post Times-Star ON STRIKE. Teamsters Local 100." The strike took place just after the International Typographical Union's nationwide strike that began after a Washington Post pressman was reportedly fired for starting a "slowdown." The pressmen were at odds with the Post at the time and filed a complaint with the Columbia Typographical Union No. 101, according to the Washington Area Spark newspaper from 1973 . Workers were unhappy that they were working without a contract for more than a month. Typography union strikes made a huge impact on the New York news market in the mid-1960s. Just before deadline, "hundreds of printers walked away from their clattering Linotype machines and their rumbling presses," Vanity Fair wrote in a feature on the strike and its lasting impact on the city. WCPO's archives don't elaborate on the reasons for the strike: The only explanation is "both sides say that wages are not a primary concern." At the time of the strike, the Enquirer was owned by Carl Lindner Jr. via the American Financial Corporation. The Cincinnati Post -- at the time called The Cincinnati Post Times-Star -- was owned by the E.W. Scripps Co. , the same Cincinnati-based company that owns WCPO today. Small newspaper shops in the city saw lines around the block as locals tried to pick out-of-town newspapers to purchase in lieu of the Cincinnati staples. 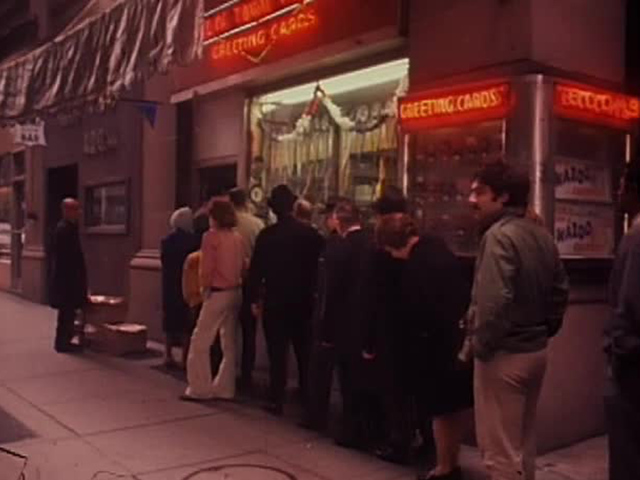 Customers lined up around the block for at a local newspaper shop. While the papers were on strike, WCPO continued with 7 a.m., noon, 6 p.m. and 11 p.m.